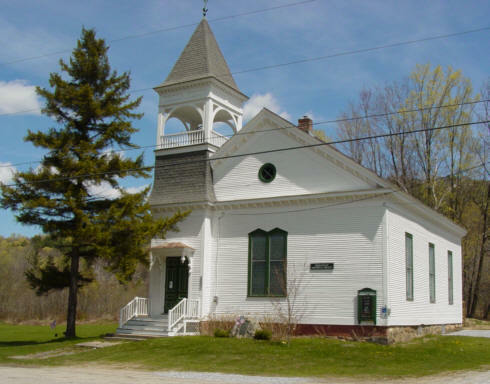 is located in the former Cuttingsville Church on Route 103 in the heart of Cuttingsville. the museum is free and wheelchair accessible. On display are 19th century Shrewsbury artifacts including furniture, costumes, photographs, books, diaries, toys and more. The collection also includes video and audio tapes of townspeople and special events, and current Shrewsbury history in scrapbook form. The Historical Society meets at the museum on the third Tuesday of the month at 7 p.m. from May to October. Appointments to visit the museum can be made by contacting the secretary at 492-3324, e-mail:ruthcon1@vermontel.net, or visit us at:www.shrewsburyhistoricalsociety.com.